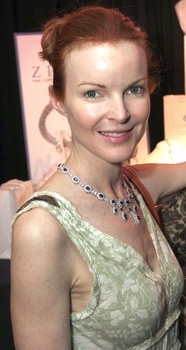 Marcia Anne Cross is an American television actress best known for her role as Bree Van de Kamp on Desperate Housewives. Ziamond presented their lovely display of Ziamond Cubic Zirconia CZ Jewelry in 14k gold, 18k gold, and platinum. Discover for yourself the Ziamond difference!